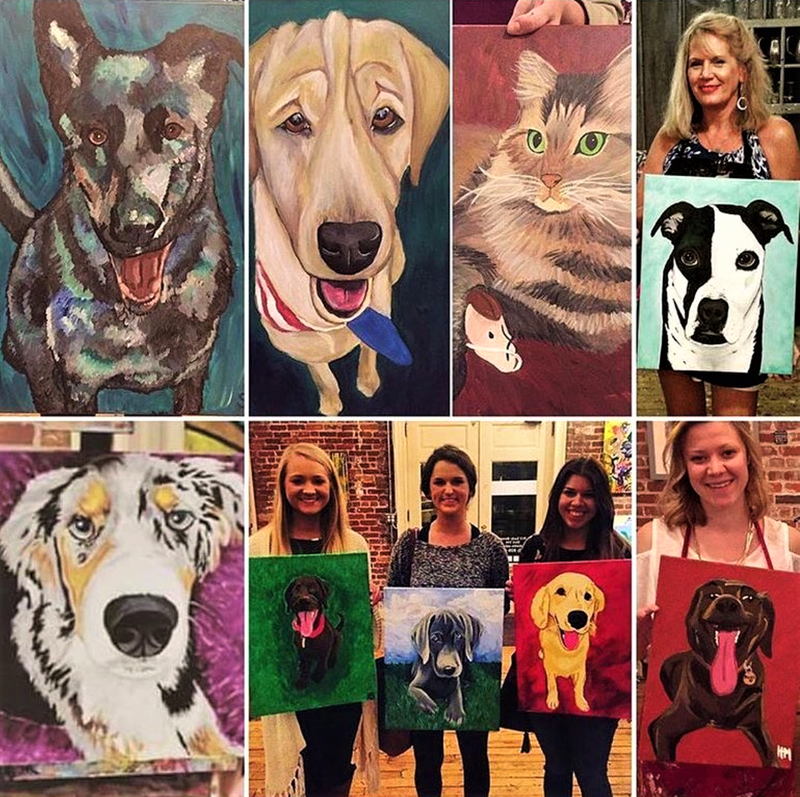 Come out and paint your favorite furry friend! We will walk you through painting your pet step by step, no skills needed. Submit your picture to info@studio-cellar.com when you book!! Wine, beer, mimosas and other beverages sold on premise. About a 3 hour class, any age welcome to paint. Feel free to bring your pet as long as he/she is well trained. Take your painting home when you go. All art supplies included in price. All paintings shown were completed in our classes by our amazing customers!